Your iPhone is likely the most versatile tool in your arsenal. It’s a communicator, flashlight, and more all rolled into one. But adding accessories to your iPhone is a great way to gain more functionality or spice up its character. Even better yet, many of the best iPhone accessories are incredibly affordable to own. Check out some of the best, affordable iPhone accessories available on Amazon below! If you’re in the market for AirPods, but your wallet isn’t, you’ll be happy to hear there are many more wireless earbuds on the market than a few years ago — ones that don’t have a cord holding them together. 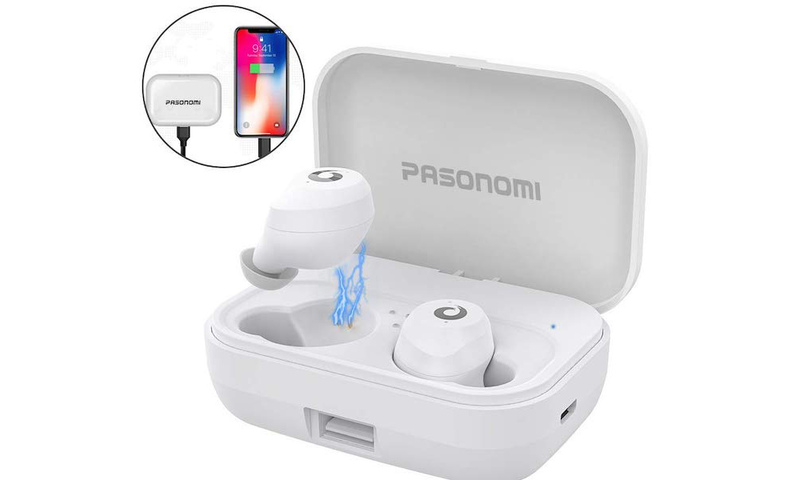 Pasonomi’s Bluetooth EarBuds include a portable charging case and a one-year warranty. They are rated IPX7 waterproof to protect against rain and sweat. They currently have a 4.3/5 rating based on 873 reviews and are available for only $52.99 on Amazon. You can also find AirPods look-alikes on the iDrop News store for even less. Since new iPhones have become more expensive than ever before, it’s now incredibly important to do whatever you can to protect your investment. 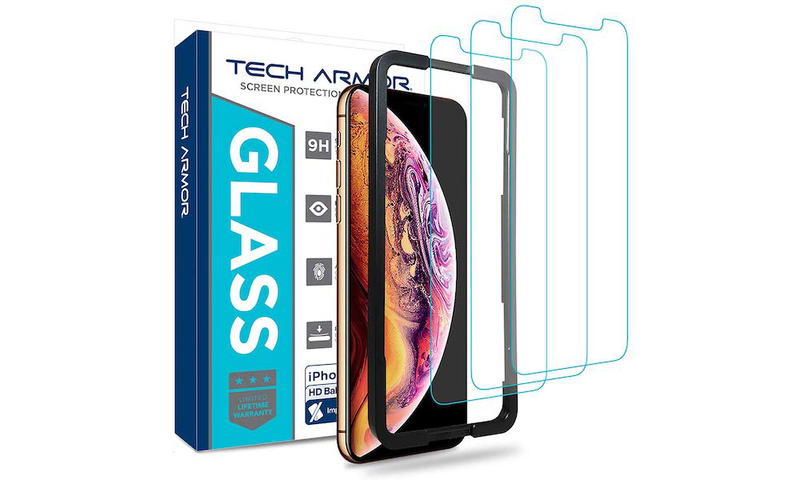 Luckily, durable glass screen protectors from Spigen and Tech Armor will prevent your iPhone’s screen from becoming scratched, ultimately retaining more of its resale value and usability. These screen protectors even come in multi-packs and start out at only $7.99 for iPhone X/XS owners. The Osmo Mobile 2 by DJI lets you shoot video like the pros, right on your mobile device. 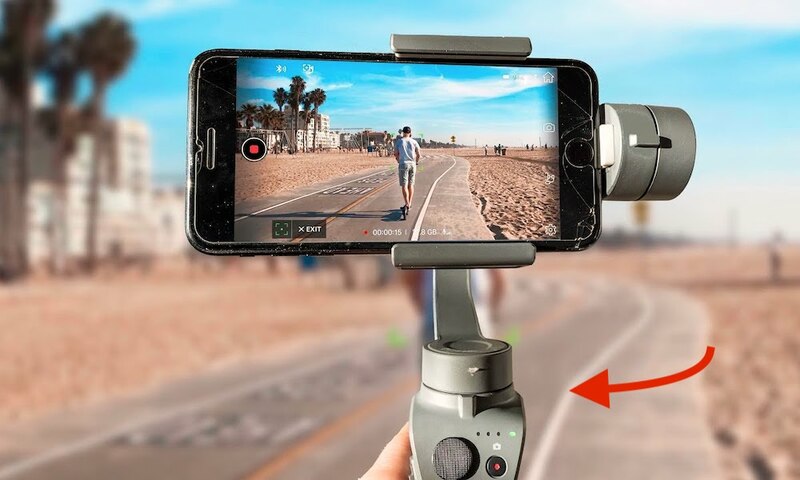 The handheld gimbal works with many smartphones and has unique features like DJI’s “Active Track,” “Motionlapse,” and “Hyperlapse.” It has zoom controls built right in, lets you easily take stunning panoramic pictures, and can quickly switch between portrait and landscape orientation. Amazon currently offers an Osmo Mobile 2 bundle that includes a carrying case, 12” flexible tripod, a base, and a cleaning cloth for $139. 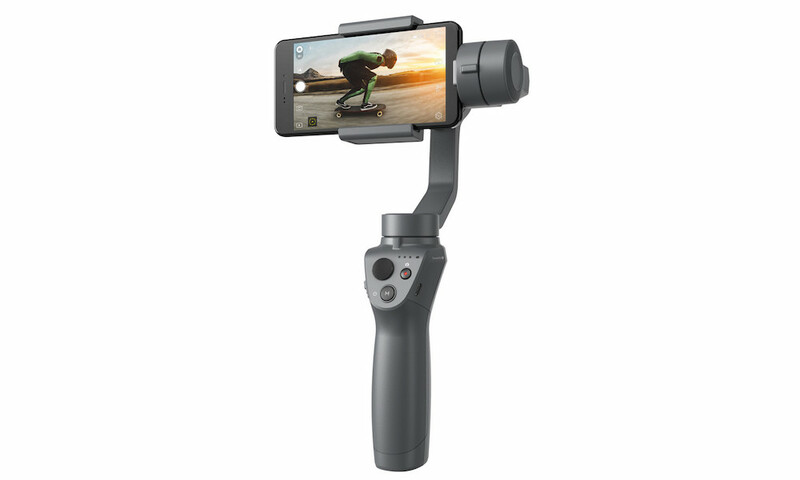 Or, get this comparable iPhone gimbal is available on the iDrop News store for only $94.99. If you’re at your desk and want to charge your phone while you work, the Anker Wireless Charger is a great solution. It keeps your phone upright so you can see notifications as they come in. Anker claims that Face ID is easy to use when your iPhone is docked. Because of its unique design, it can be used vertically or horizontally to achieve different viewing angles. It doesn’t require a case and claims to charge faster than other 5W chargers. Keep in mind, the device doesn’t include an AC adapter, so make sure you have one that can handle the fast charging speeds. The Anker charger is available for $21.99 on Amazon. 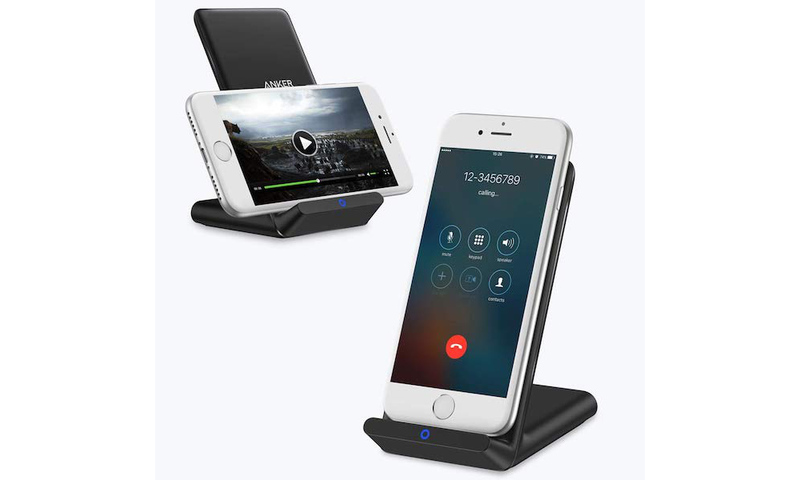 Or get this comparable wireless charger is available on the iDrop News store for $22. Some of the best cases for iPhone are available on Amazon. 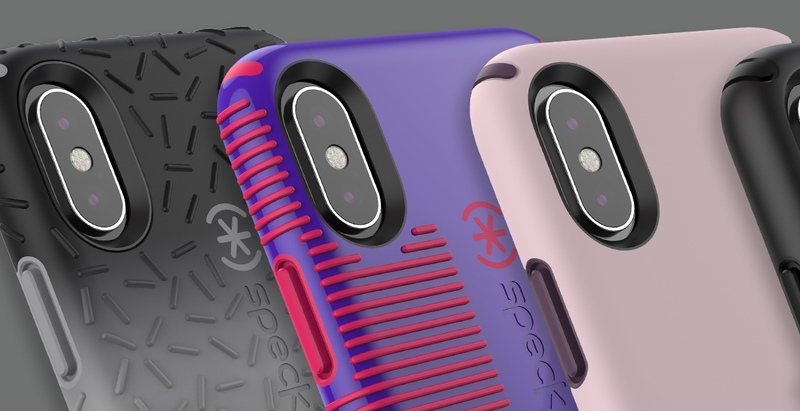 Speck cases offer many colors, ultimate protection, and a variety of features. They’re available for any model of iPhone and even offer cases for iPad, Apple Watch, and Apple laptops. Whether you’re looking to protect your iPhone or simply accessorize, Speck offers a large variety of choices. If you’re looking to become an iPhoneographer, you might want to consider buying a few detachable lenses. 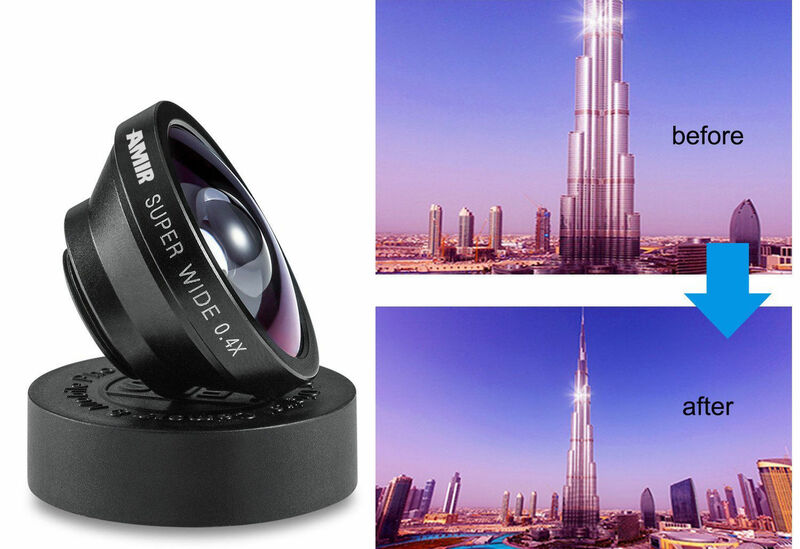 A super-wide-angle lens makes getting the big picture easy. The fish-eye lens gives a unique perspective to your photos while capturing more of the environment. 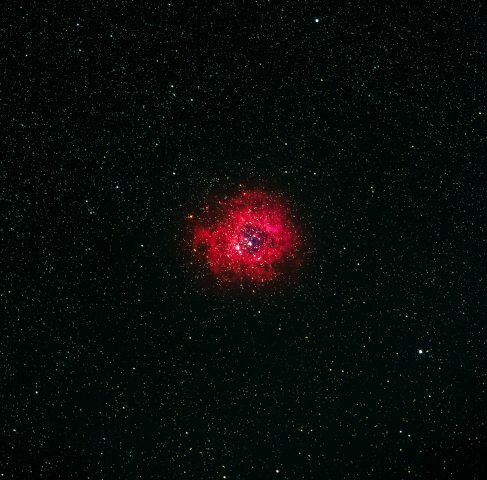 Lastly, a macro lens helps you see the world on an entirely different scale. In addition to this lens bundle, you might want to take a look at AMIR’s other options; including a [telephoto lens] with 12x zoom for just $17.99. The three-in-one bundle is $13.99. Or get this 8x zoom lens on the iDrop News store for only $12.99. If you’ve ever wanted to look inside your vents or see what’s clogging your bathroom sink, this wireless endoscope will get the job done. 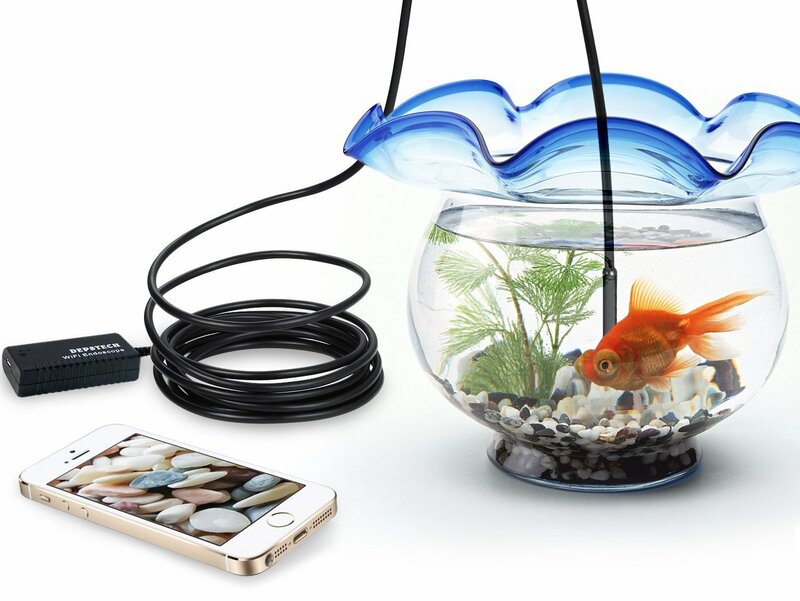 The 11.5’ endoscope is waterproof and connects to your iPhone via Wi-Fi. It features an HD camera with a blue LED light. There are a variety of uses for the scope, including maintenance, inspections, repairs, and more. The wireless endoscope is available on Amazon for $35.99. Or get this comparable 1080p endoscopic camera on the iDrop News store. The Files app on iOS is great for syncing and accessing files on multiple devices from various sources. But sometimes it’s nice to have a flash drive on hand. 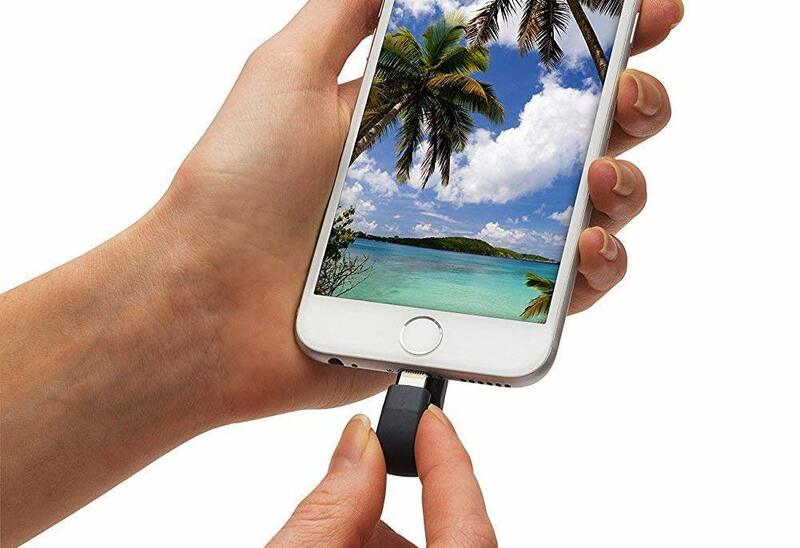 The unique iXpand flash drive from SanDisk connects to your iPhone’s Lightning port on one end and features a traditional USB port on the other. Using the iXpand app, iPhone users can access and transfer files to the drive, while also being able to connect it to a computer. The iXpand flash drive comes in four sizes (32GB, 64GB, 128GB, and 256GB) and costs $24.89 – $98.20 depending on the storage size you choose. Another great option is the iKlips Duo+ on the iDrop News store. If you’re missing the old 3.5 mm headphone jack, want to charge your phone while listening to music, and want to listen to your tunes with a friend, this might be the best adapter for you. 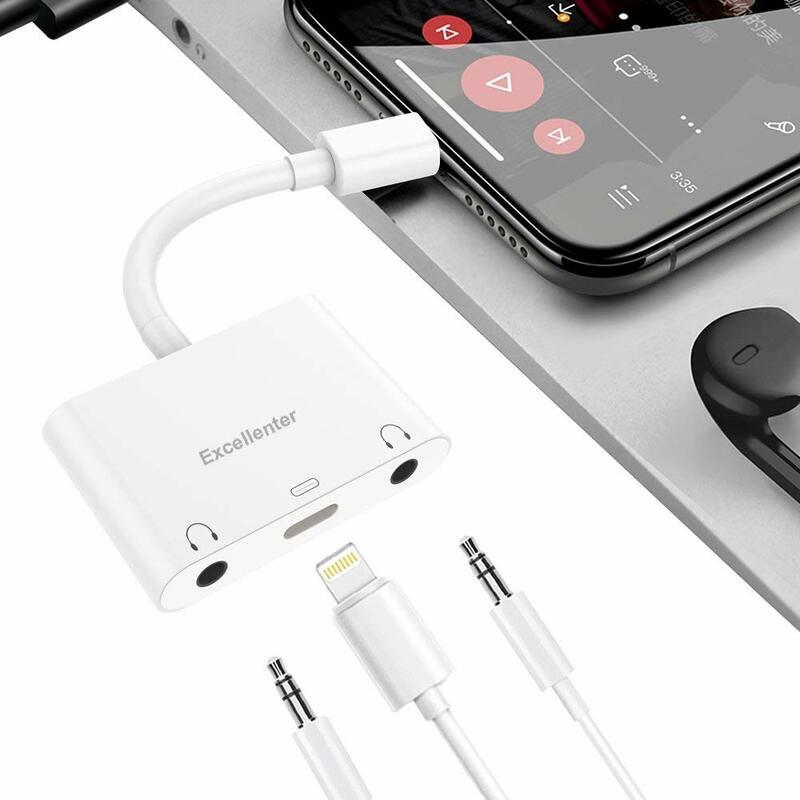 The Excellenter adapter lets you connect two pairs of headphones and a charging cable simultaneously. Better yet, it’s only $9.99 on Amazon. While Amazon is a great place to find accessories for iPhone (and pretty much anything else you want to buy), you’ll find awesome accessories for your iPhone all over the web. From VR goggles to RC robots to microphones, there are a lot of accessories that help your iPhone become an even better tool than it already is. How do you accessorize your iPhone? Let us know your favorite cases, brands, and other accessories in the comments and on social media.